There are many great dude ranches in Colorado, and some of them are world-renowned. The reason these ranches are held in such high esteem is because they incorporate the authentic feel of the western frontier with an exciting range of activities that bring home the full experience of ranch life. But the problem with some dude ranches is that much of your schedule is taken up by the wide variety of recreational opportunities that are incorporated into your day to day. In addition, you sometimes need to spend several days at a dude ranch in order to experience everything that the place has to offer, and while this can be highly enjoyable and a great vacation option, it's not a good fit for someone looking for an afternoon excursion. This is what makes Rusty Spurr Ranch different from the rest. We're not a dude ranch specifically, though we do maintain an active ranch and our guests enjoy seeing many aspects of the work we do. Our primary recreational focus is on providing authentic, horseback trail rides to our guests. Rides can be short or long, relaxed or intense, depending on the needs and desires of each group or visitor who comes to our ranch. Our horses are allowed to range freely in vast pastures rather than being kept locked away in stalls or stables, as they would be at most other ranches. This helps our horses stay as physically fit as possible while providing them the highest quality of life. 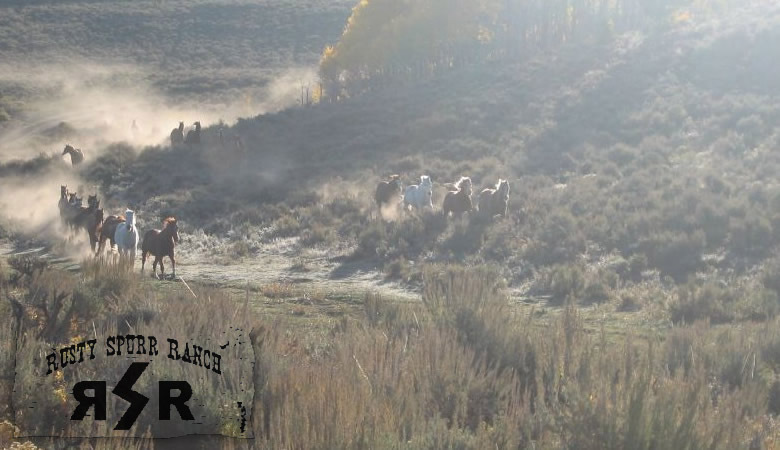 If you aren't interested in giving up a whole weekend for one of the other dude ranches in Colorado, consider spending a day with us here at Rusty Spurr! The horse riding Colorado visitors and residents most enjoy takes place out in nature, with beautiful views and scenery on all sides. Colorado is known for its mountains, forests, streams, meadows, and other natural features, and those who enjoy the outdoors will enjoy it best on horseback. That's our opinion, at least! 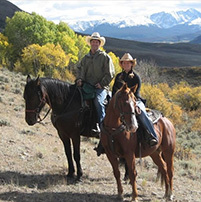 At Rusty Spurr Ranch, we offer a horseback riding experience that's unlike any other. Colorado summer vacations are great due to the variety of recreational activities available throughout the state. Colorado is known for its natural beauty and outdoor-oriented lifestyle, and the weather in summertime is truly enjoyable. If you're planning a vacation for this summer or next, consider making Colorado your destination! Ready to discover one of the best Breckenridge summer activities? If you've ever been to Breckenridge before or planned a Colorado vacation, you know how many recreational opportunities there are that allow you to get active in the outdoors. 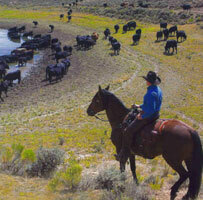 One that you may not have tried is horseback riding at Rusty Spurr Ranch. Call 866.724.9715 to reserve a trail ride for you and your group today!